Bottled water eclipses soda as most bought beverage in U.S. Experts on health and weight loss have tried to convince people to stay away from sugary beverages for years. Now a recent study reveals that soda and other sugar-sweetened beverages are no longer the top pick amongst Americans. Beverage Marketing Corporation, a consulting and research company, has published a report that found bottled water to be the most drunk beverage among U.S. consumers. It states that consumers drank 12.8 billion gallons of bottled water in 2016, up 9% from 2015 and an average of 39.3 gallons per person over the year. At the same time, soda consumption fell to 38.5 gallons per person in 2016, or roughly 12.6 billion gallons. While the change in preference has been gradual at times, the researchers say that the results of the study are surprising. 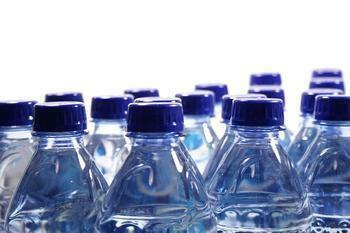 “Bottled water effectively reshaped the beverage marketplace. When Perrier first entered the country in the 1970s, few would have predicted the heights to which bottled water would eventually climb. Where once it would have been unimaginable to see Americans walking down the street carrying plastic bottles of water, or driving around with them in their cars’ cup holders, now that’s the norm," said Michael Bellas, chairman and CEO of Beverage Marketing, in a statement. Of course, the announcement likely won’t make much of a difference to beverage companies. Bottled water still costs less than sugary beverages, on average, and many companies that produce sodas also manufacture bottled water. Three companies in particular make up nearly 50% of retail sales: Nestlé, Coca-Cola, and PepsiCo.